We're stoked about electric cars, but unless their range can exceed the 100 miles or so of today's electro-cars, they're going to be a nonstarter with mainstream consumers. IBM aims to change all that with its Battery 500 Project, just kicked off at the company's Alamaden Laboratory in San Jose, California. They're pooling the resources of 40 of the world's best engineers and scientists, with a goal of creating lithium-air batteries with a 500-mile range, 200 miles farther than a typical gasoline-fueled car. 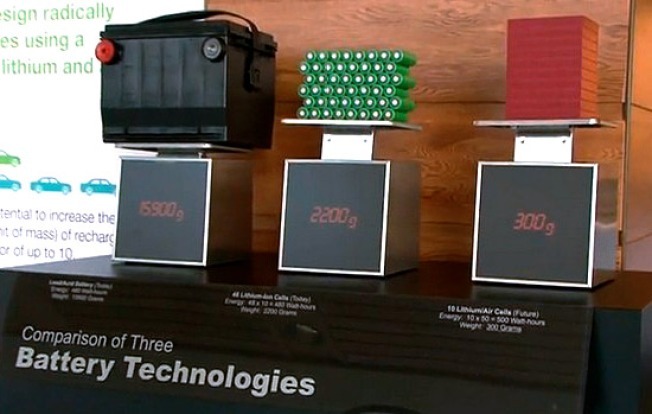 Not only do they intend to make car batteries more efficient, they also aim to make them smaller and much lighter. If IBM can create a 500-mile car battery cheap enough for the rest of us to afford, we might all be driving electric cars a few years from now. Armed with an impressive brain trust, key patents, and hopefully some serious economic-stimulus bucks, the Battery 500 Project could change the world.